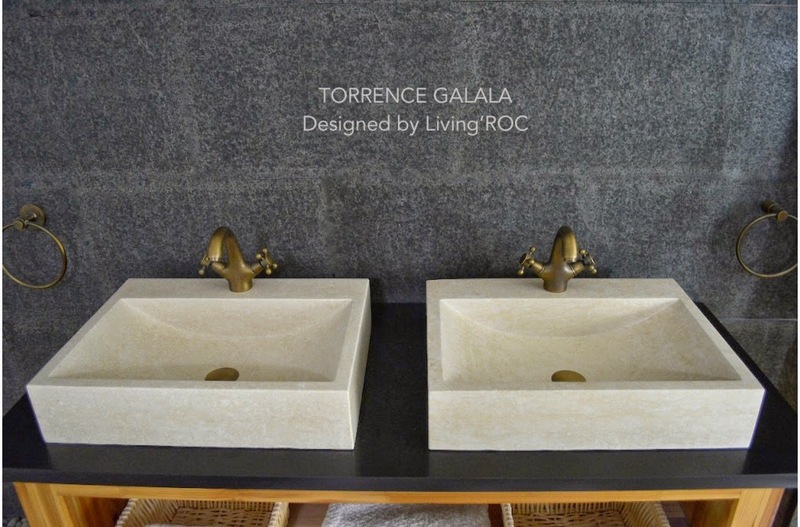 LivingRoc USA-The Blog: Dare to surround yourself with marble from Egypt. Dare to surround yourself with marble from Egypt. 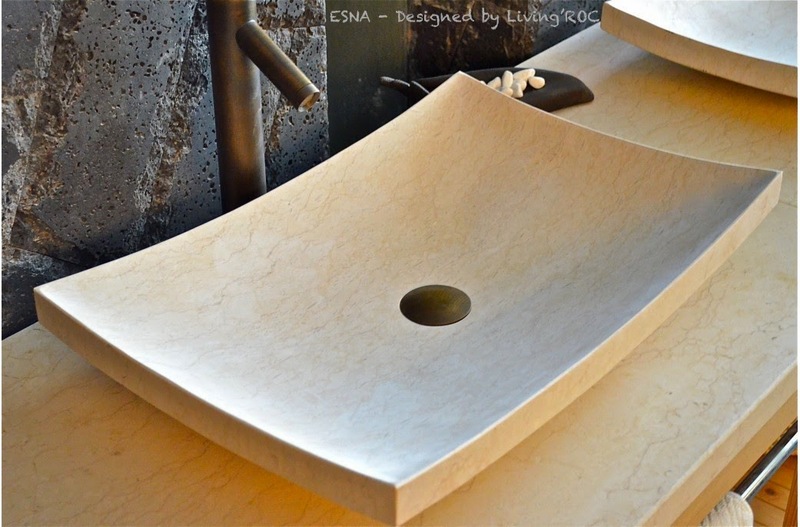 The latest in the range offered from Living'ROC, beige marble from Egypt made ​​its entrance through the front door into the bath with a radius site. Crowned by its reputation far beyond the borders and continents, marble has always been considered as a material of prestige. Nobody is fooled by the choosing of marble for achievements that have transcended in time like the Taj Mahal, the Palace of Versailles, or more recently the Arche de la Défense in Paris. 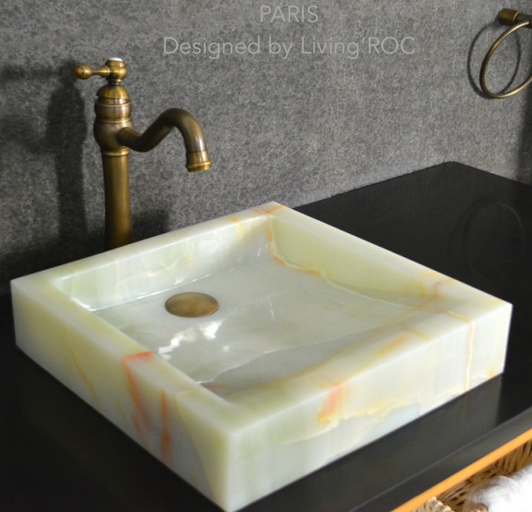 Marble attracts, fascinates and embellishes with style. 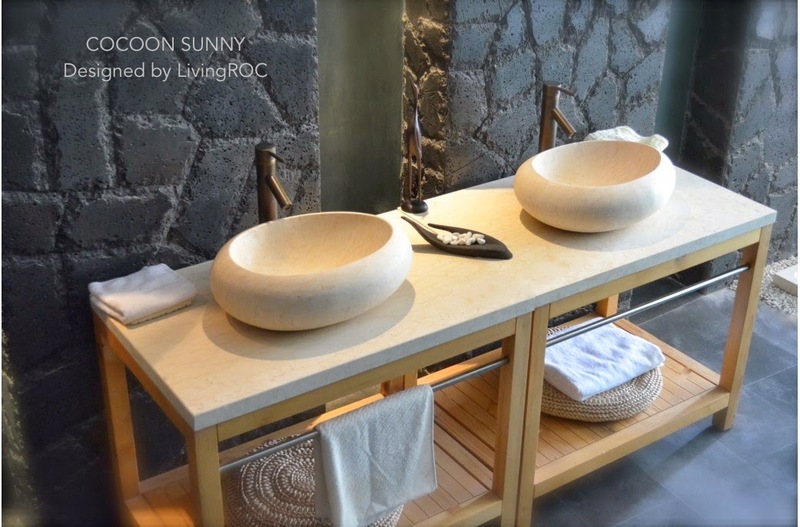 With this presence and magnetism, Living'ROC has decided to bring elegance into your bathroom. Beige it can fit into any environment and particularly among all lovers of light colors or refined atmosphere. Striated, like any quality marble by authentic ribs, it will impose its presence and its design lines. Carved from a block of marble of high quality, it will awaken the primitive instincts of the stone, originally designed for the most important circumstances of ancient namely religious funeral or life events. Now considered a luxurious decoration material you can bring to your room at a very reasonable price considering its rarity. We present temptations for you to discover, our other products of Egyptian marble.